Local SEO: How to Rank Your Local Business! Since publishing this original article back in 2013 (you can read this here), a lot has changed in the world of local search. Over the years, Google has launched a tonne of important changes related to local search including significant updates to the Google My Business pages. The running theme of these changes seems to be the following three things: Google is placing importance on local search, Google is crawling more local searches, and Google is looking for more reviews! Every local citation you build is another tick in the local search engine box for Google. While the process of creating new links on directories may be time-consuming, it’s crucial for ranking on local search. It’s important to consider the details you provide in each listing. The more complete your business listing, the better the leads, sales and click through from that website. If you are a business looking to rank highly in multiple locations, then you likely have a series of targeted location pages. This is a solid local strategy to ensure you are found by customers in these specific locations – job well done, right? Well, not exactly. Unfortunately, these pages are not always set up correctly and, all too often, include poorly crafted content with only a few sentences per page; this is greedy and guess what? Google does not miss a trick! The pages themselves must have value – if your page has thin, low-level content i.e. contains a few sentences loaded with keywords and spam content – then you are in trouble. The content must answer the question of the searcher. If you are providing a service for someone in that area, ensure that your content is relevant to that searcher. Otherwise, why should Google bother ranking your business for that service? Claim your Google My Business Listing. This is the single most important item on this list, but so many businesses are yet to complete this simple task. It’s free to set up and will appear in search results including selected photos, website links and reviews. Schema Markup is a code that is placed on your website to ensure more accurate results are returned for your business on Google. 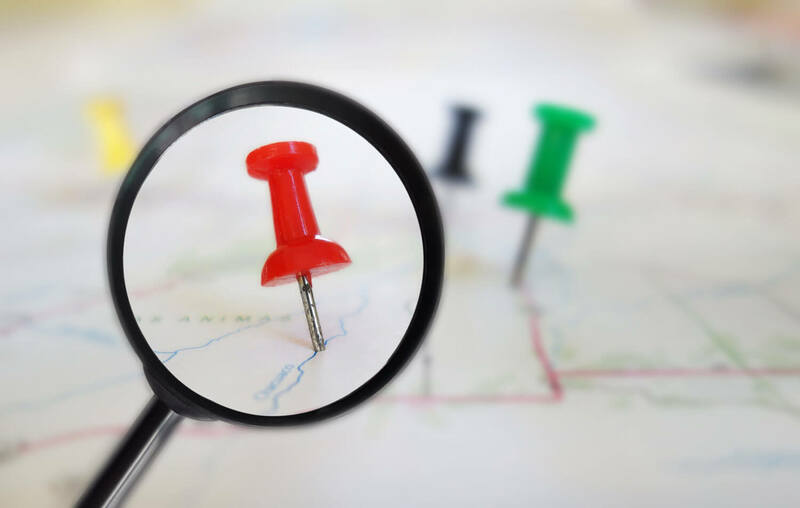 It’s an incredibly powerful tool for local search with added detail provided about your targeted locations. In terms of local search, it could be the difference between generating sales and losing out to your competitors. Coding is a tricky business and is best left to the professionals. If you want further information about schema markup, or would like help setting this up for your business, then get in touch with Bigfoot Digital here. Search engines and customers love reviews! It’s a huge trust factor and will give your customers confidence when visiting your website for the first time. Did you know that last year alone 74% of customers consulted reviews before making an essential purchase online? It just goes to show that reviews for your business can have a huge impact on conversion optimisation. 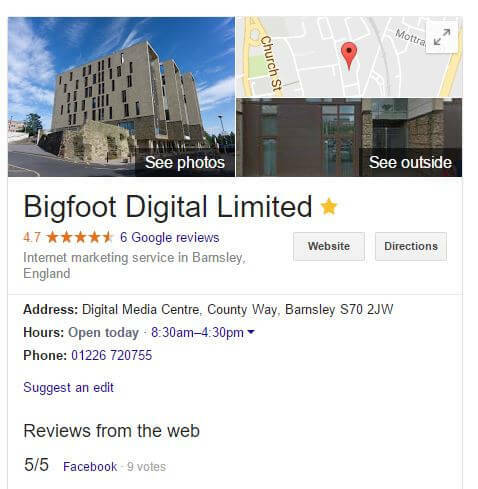 At Bigfoot Digital, we have achieved some great local search results for both ourselves and our clients in locations across the UK. We are now ranking on page one for a bunch of terms around ‘SEO Services in London.’ We can get the same results for your business. To find out more about how we can get first page rankings for your business, then get in touch here.